On 19 May,The Delhi High Court issued notice to former telecom minister Dayanidhi Maran, his brother Kalanithi and others on the plea filed by Enforcement Directorate (ED) against their discharge in the Aircel-Maxis case. The High Court will next hear the matter on August 29. In its last hearing, the CBI had told the court that more steps were needed to be taken to secure the presence of Krishnan and Marshall, who were charge-sheeted along with Dayanidhi Maran and his brother Kalanithi, in the case. 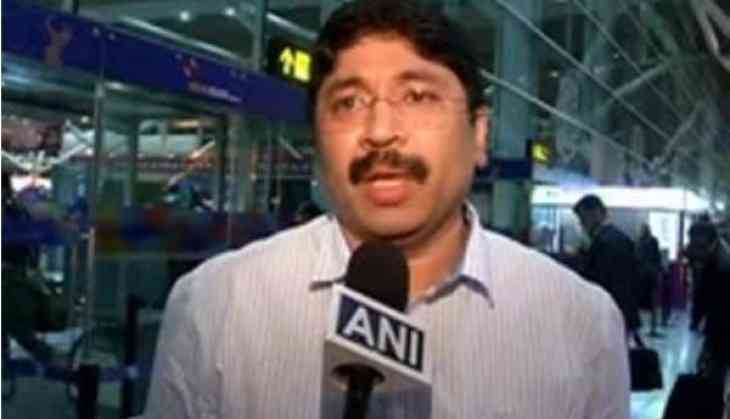 The ED on May 3rd moved the Delhi High Court challenging the special court's order discharging Dayanidhi Maran, his brother and others in the Aircel-Maxis deal case. On February 3, the ED moved to the Supreme Court against the special court's order on Aircel-Maxis case which discharged the Maran brothers and other accused without furnishing the bail bond properly. The ED also urged the apex court to not release the properties attached in the case. The Patiala House Court, a day before discharged former communications minister Dayanidhi Maran, his brother Kalanithi Maran after it found insufficient evidence to prosecute them. The Maran brothers were accused by investigating agencies of helping Malaysian group Maxis to acquire Aircel in exchange for a kickback of approximately Rs. 700 crore. The court also discharged Kalanithi's wife Kavery Kalanithi, South Asia FM Ltd (SAFL) Managing Director K. Shanmugam and two companies -- SAFL and Sun Direct TV Pvt Ltd (SDTPL) in two different cases. The CBI Court on December 19 last year deferred pronouncing its orders against the Maran brothers and others to December 22. A special 2G court had earlier on September 17 last year dismissed the applications filed by the ex-telecom minister and his brother, challenging its jurisdiction to try the Aircel-Maxis deal case in which they have been summoned as accused. Pronouncing the order, the court had then said, "There is no manner of doubt that by the standard of subject matter and periodicity of the alleged crime, the case fairly/squarely falls within the description/ designation of the 2G scam." The Maran brothers challenged the jurisdiction of the special 2G court in both cases lodged by the Enforcement Directorate and the CBI. The Enforcement Directorate alleged that two firms, South Asia FM Limited (SAFL) and Sun Direct TV Private Ltd. (SDTPL), had received Rs. 742.58 crore as "proceeds of crime" from Mauritius-based firms and that the two firms were then allegedly controlled by Kalanithi Maran. Did you know how expensive is Apple's most expensive watch? Half Girlfriend Movie Review : The movie is rather insipid and shallow. READ NEXT >> Half Girlfriend Movie Review : The movie is rather insipid and shallow.